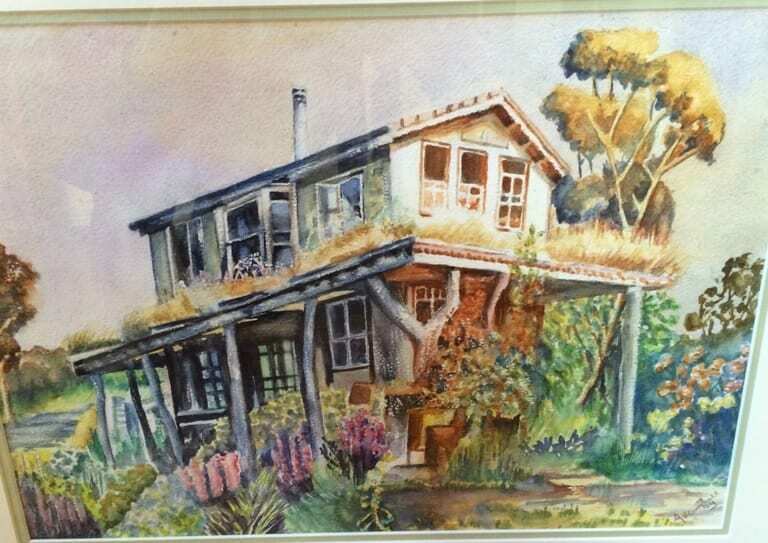 This lovely watercolour painting of our home was spotted in a Nelson op shop by some Jester House customers. They mentioned it to the shop staff who rang and told us it was there. Steve popped in to check it out and was thrilled to find not only a painting but a very fine painting of our home as it was in 1999. Under a dome of silence,Lance Trolle, our fabulous local picture framer framed it up and Steve gifted it to me for Christmas. 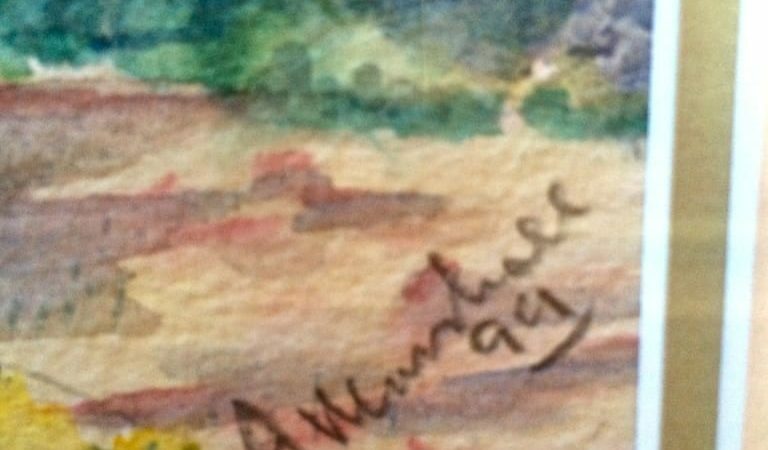 I was over the moon, firstly because he had managed to surprise me ( a very difficult feat ) and secondly because it is such a lovely painting. 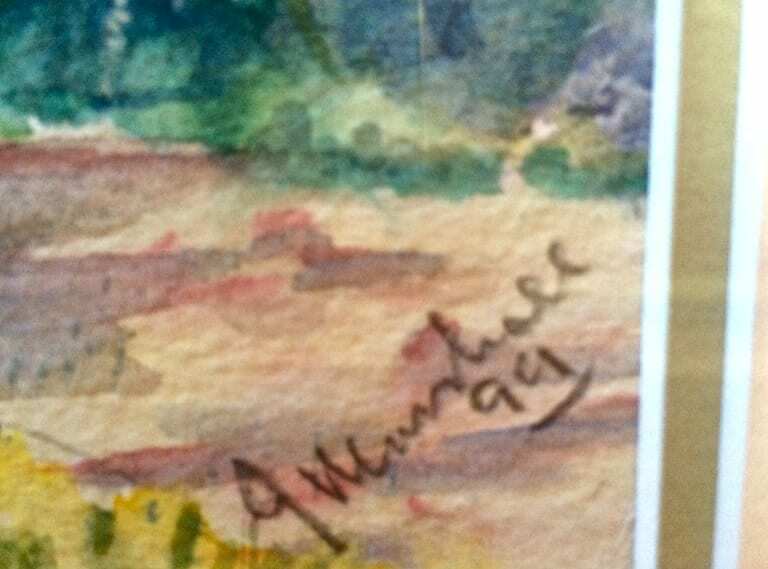 It is quite hard to read the signature and we would love to know the provenance of this work. If this looks familiar to you or you have any further information to add to this story we would be thrilled to hear from you.